What does The Eve Appeal do? The Eve Appeal was launched in 2002 and is the only national UK charity dedicated to funding world-class research and raising awareness of all five gynaecological cancers (womb, ovarian, cervical, vulval and vaginal). In the UK, 58 women are diagnosed and 21 die each and every day from a gynaecological cancer – yet funding and awareness of these diseases remains low. We are determined to change this and fight women’s cancers by funding research focused on developing effective methods of risk prediction, earlier detection, and improved treatment and care that will ultimately save women’s lives not only in the UK but around the world. Thanks to our supporters, since 2002, The Eve Appeal has raised more than £6.7 million towards the pioneering research undertaken by our core research unit – the Department of Women’s Cancer at University College London. Where can I find out more about gynaecological cancers? We have information available about each gynaecological cancer in our dedicated information pages, including key signs and symptoms associated with them, treatment methods and the outlook for each gynaecological cancer. Where can I download your awareness leaflet? If you would rather download a copy of our information leaflets, which cover all five gynaecological cancers, you can do so through our dedicated resources, or if you would like a printed copy please send us an email. I think I may have some of the symptoms of gynaecological cancer, what should I do? If you have any concerns or are worried about the signs and symptoms it is important to speak to your doctor straight away, or alternatively talk to our confidential specialist gynaecological cancer information service Ask Eve. As it is always worth getting symptoms checked out. I have / know someone who has just been diagnosed with a gynaecological cancer, who can I speak to? The Eve Appeal provides a unique, specialist gynaecological cancer information service – Ask Eve – which is led by our dedicated gynaecological specialist nurse Tracie Miles. The information service will offer information and support on all five gynaecological cancers, it will help women to ask and discuss questions about signs and symptoms, risk factors and related issues such as genetic testing. 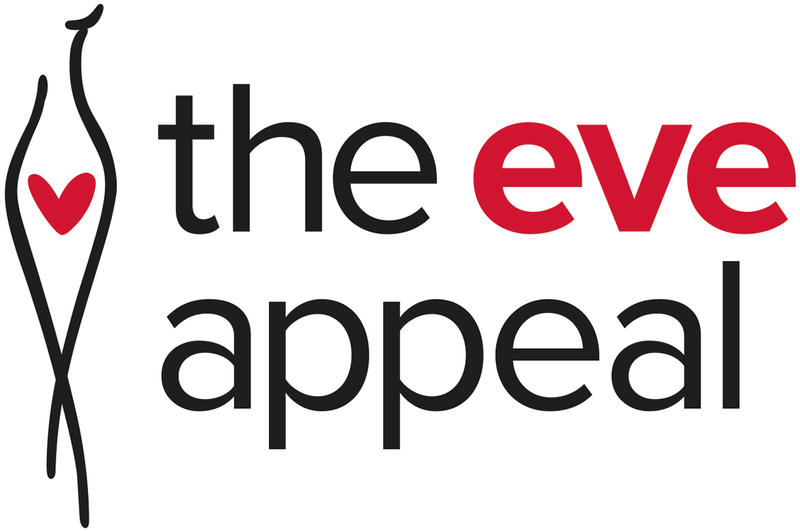 To get in contact with Ask Eve, please call our nurse on freephone 0808 802 0019 or email nurse@eveappeal.org.uk. Thank you for wanting to support us! There are lots of ways you can get involved; you can make a donation, leave a legacy, take part in a sporting challenge, fundraise in your community, offer corporate support or organise your own event. I have my own place in a sporting event, can I still run for you? Absolutely! We would love to have you join our team and you will receive all the same support. Email the Eve Team to let us know which event you are taking part in and we will be able to offer you help and advice. I have raised some money, how I can send this to you? You can find information about the different ways you can bank your money by clicking here. If you have any other questions or would like to find out more the please do get in touch by email or by calling 020 7605 0100.